DUE TO UNFORESEEN CIRCUMSTANCES, JIM'S JOG 2017 HAS UNFORTUNATELY BEEN CANCELLED. WE THANK YOU FOR YOUR SUPPORT OVER THE PAST 3 YEARS AND ARE HOPEFUL THAT THE RACE WILL BE RESCHEDULED FOR SPRING 2018. IF YOU HAVE ALREADY REGISTERED, YOUR REGISTRATION FEE WILL BE REFUNDED. Jim's Jog for Parkinson's Research is a 5K Run/Walk raising money for Team Fox, the grassroots fundraising arm of the Michael J. Fox Foundation. for the fourth annual Jim's Jog. The event will take place at Spruce Run Recreation Area, 68 Van Syckels Road, Clinton, NJ 08809. Packet pickup begins at 9 am and the race will kick off at 9:45. Jim's Jog is open to participants of all ages - bring the family and come walk, run, and have fun! Plenty of prizes will be offered, and awards will be given to top finishers overall and in each age group. All proceeds from the Run/Walk will go to research into a cure for Parkinson's disease and development of improved therapies for current patients. We hope to see you on race day! 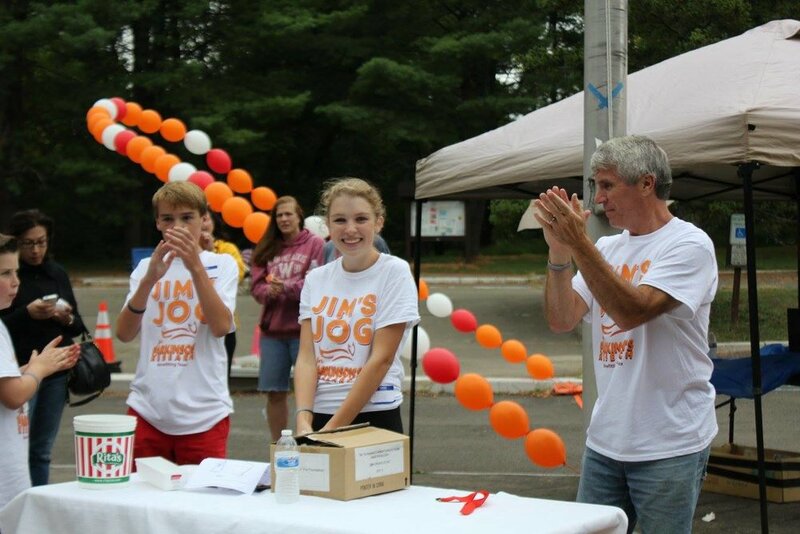 Curious about why we started Jim's Jog for Parkinson's Research? Click here to learn the story behind the 5K. Ready to race? Learn how to register for Jim's Jog, sign up to volunteer, or get involved as a sponsor.